It might seem surprising to know that New Jersey, the self proclaimed Garden State, is actually fairly prolific in producing wine. Whereas the majority of wines coming from New Jersey are sweet, native grapes like catawba, vidal blanc and concord, a few wineries are upping the ante for the lucrative wine game on the East Coast. Alba Vineyards are currently on an aggressive growth streak with a wide portfolio of wines that are winning medals at diverse competitions like the Finger Lakes Wine Competition the, Dallas Morning News Wine Competition and the Los Angeles Wine Competition. 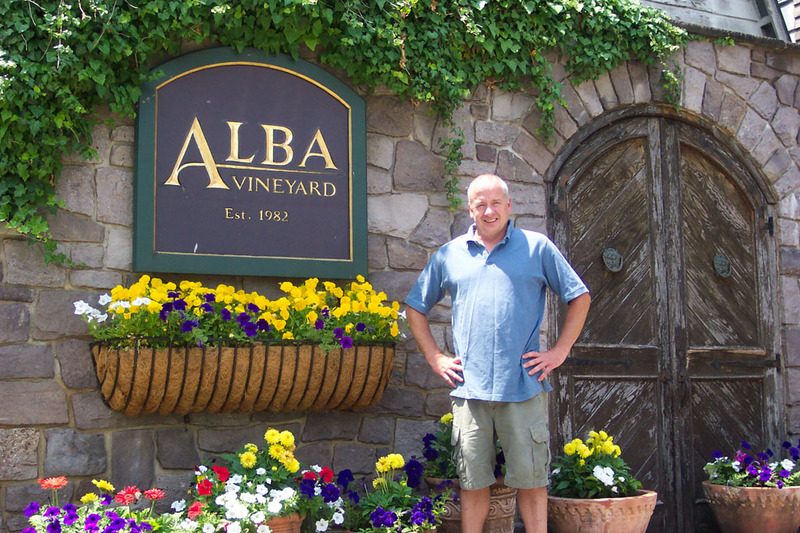 Though Alba was originally established in 1982, it wasn’t until Tom Sharko and his wife Pam took control of the old dairy farm in 2000 that Alba became one of the better-known wineries in New Jersey's Musconetcong River Valley. The current tasting room and winery was a dairy barn built in 1805. “They were milking cows here when Jefferson was president,” Tom told me. “California wasn’t even a state and Lewis and Clark went looking for the Pacific,” he added. The valley also carries the distinction of being where a majority of the cannon balls were made during the revolutionary war. The limestone walls, four feet thick at the base, presents an imposing and beautiful room to taste wines in. Sitting on 93 acres, replete with limestone rocks scattered throughout the place, thirty acres are already producing fruit with another 25 to be planted. "This is all limestone based and that's the soil of Burgundy,” Tom told me. “We went to Rutgers and Penn State and conducted our soil tests and figured that pinot noir, Dijon clone chardonnay and riesling were suited for these soils," he said of his south facing vineyards. And so they tore out everything from the former vineyard, including many large trees and began the arduous task of planting a new one. "We’ve become experts at tearing out vineyards," he joked. "We do high density, narrow row farming, 2,300 vines per acre, six foot rows and meter spacing. We’re down to 2.5 tons of fruit per acre and we dry farm," he added. And dry farming at Alba means just that. The place isn't set up with any irrigation; no drip, no overhead, nothing. A few years back during a particularly dry season, workers took buckets of water out to the vines by hand. "We are focused on only French oak, we gave up on American and Hungarian," Tom said. Part of that appeal is that he desires to break away from the conventional mentality of the two types of east coast wine - sweet, and really sweet. Tom and winemaker John Altmaier currently produce 16, 000 cases, but they’re eyeing a doubling of that. “We’re in the heart of 15 million people between Philadelphia and New York and if we can’t sell twenty to thirty thousand cases out the door, we’re doing something wrong,” Tom believes. 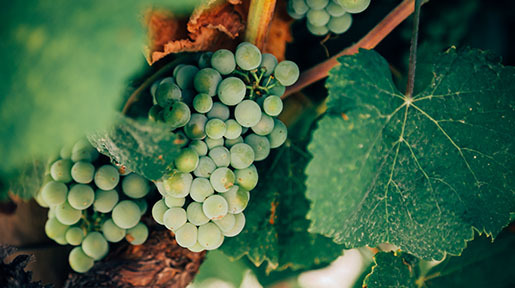 Interestingly Alba is the second largest winery in New Jersey, but it boasts the largest vinifera vineyard in the state. Once the replanting is done, they will be a force to be reckoned with, though they still buy fruit out of the Finger Lakes, Long Island, and other parts of New Jersey. I drove the property with Tom recently and it’s vast enough to hold weddings, special events and the views rival those of west coast wine regions. But again, this is New Jersey and for a California boy, I’m intrigued. A tasting of some of their wines invariably produces a visceral reaction. I’ve always felt it was unfair to compare west coast chardonnay for example to east coast versions, there are too many differences and variables. But surprisingly, the Alba wines can compete with those of California. The barrel reserve chardonnay and pinot noir are quite good. Even the chambourcin, a hybrid variety rarely seen in western states, is balanced and true to its varietal characteristic. I also barrel tasted chardonnay and pinot noir with John, who has been winemaker at Alba for seven years now. “People in California could care less about our New Jersey chardonnay, but ice wine dessert wines are our niche market,” Tom says. Alba’s dessert wines are carried in 17 states and the red raspberry has scored very well in competitions. Then there’s the Mendoza, Argentina angle. The opportunity came up recently to lease a few malbec vineyard blocks, south of the equator. “We get it through malo-lactic fermentation down there, then bring it up to the states to finish and age it here in French oak.” They are currently on their second vintage of malbec and the public can’t wait to get their hands on it. So Tom and John continue to plant the property and continue to expand their portfolio of wines. As assertive as Abla is, we might be seeing New Jersey chardonnay and pinot noir invading west coast store shelves pretty soon. Throughout a winemaking career spanning two decades, three continents and with experience gleaned from working at wineries like Woodward Canyon, Chateau Ste. Michelle, Rapaura Vintners, and Bookwalter, Caleb Foster has established himself as one of Washington State’s best winemakers. 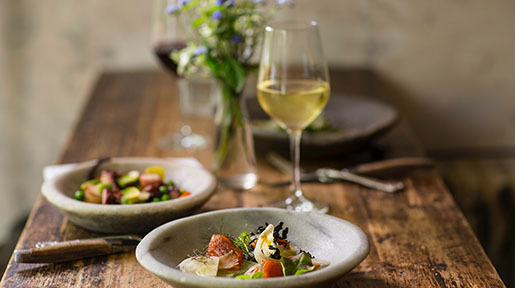 As the winemaker for Buty, which he founded with his wife, Nina Buty Foster in 2000, he has created an acclaimed portfolio of Washington State wines that includes several pioneering blends, and are some of the defining wines of Washington winemaking. Pennsylvania doesn’t spring to mind when you think of wine, and yet there are 140 wineries in the state. 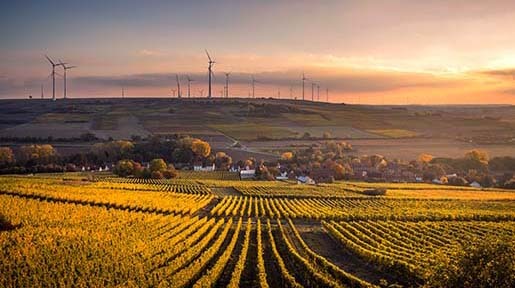 Equally important is that William Penn, for whom the state was named, planted the very first vinifera vines in America in 1683, and that the very first commercial vineyard in the U.S. was planted by the Pennsylvania Wine Company in 1793. Therefore, it all begins to add up.